Yes, no need to strengthen the stereotype of what Nepal is about even more. But this pic is indeed something special. 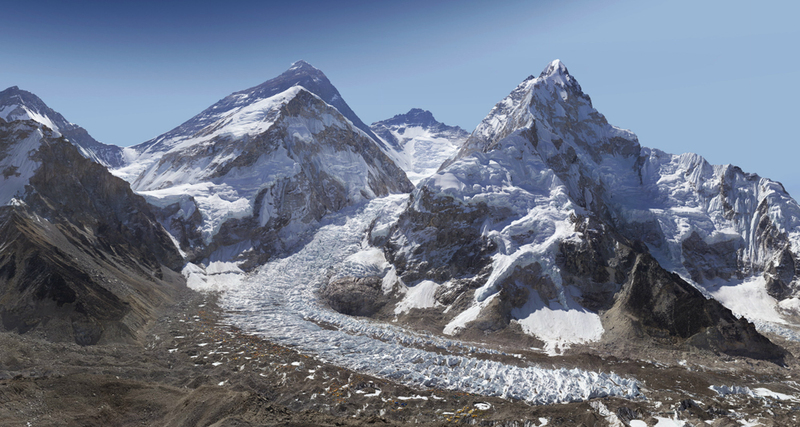 My technofobic nature doesn’t allow me to tell you anything sensible about how David Breashears managed to construct this 3.8 billion pixel image of Mount Everest. but it surely beats everything you will have ever seen before. Click here to enter gigapixel navigation, then use the controls at the bottom of the screen to zoom and pan. Click and be wowed! This entry was posted in personal and tagged David Breashears, Mount Everest, Nepal. Bookmark the permalink.